We have already seen an official Etch A Sketch iPad case, and now there is the official Etch A Sketch iPad app, called Etch A Sketch HD, which is now available from iTunes. The “Official” Etch A Sketch application. 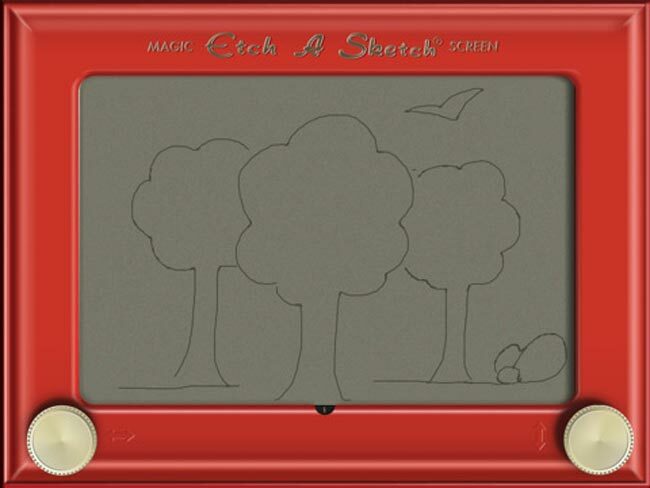 Re-live the classic drawing fun of Etch A Sketch on your iPad. Dazzle your friends with doodle masterpieces. Want to start over? Shake the iPad (be careful!) to undo your doodle! The Etch A Sketch HD iPad app is available for $2.99 from iTunes.